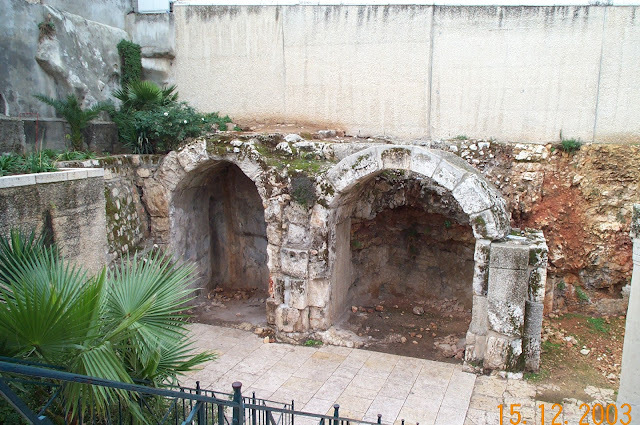 Cardo Maximus (my pic during a trip to Israel), Jerusalem, built by Hadrian after the renaming of Jerusalem to Aelia Capitolina. This was a north-south road. 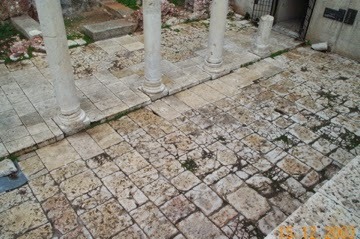 (The east-west road was called the Decumanus Maximus). 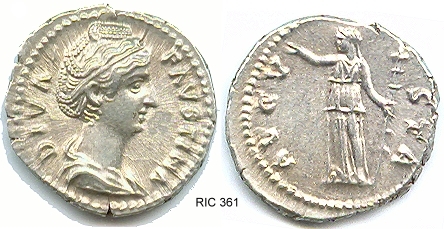 Below is a Roman Provincial coin of Aelia Capitolina of Antoninus Pius and Faustina Senior. I included the coin (my collection) in the pics because this coin may have well circulated in that street as it was minted locally after the street was completed. 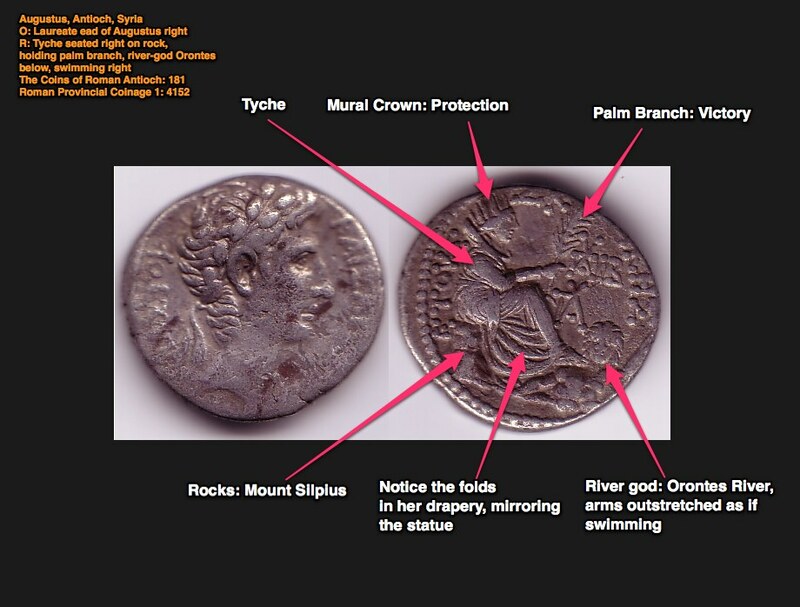 Collecting “Seated Tyche of Antioch Types” can seduce most any ancient coin collector because it offers a wide variety of ancient coin types, cities, history, denominations, metals, and artistic showmanship. Part 1 will cover the concept, history and artistry. Part 2 will cover the cities and coin types. Part 3 will cover the references you'll need while building your collection. The “Seated Tyche of Antioch” type of coin sports a reverse, and sometimes obverse, of the likeness of the famous statue of ancient Antioch. This likeness shows a seated and draped female, the Tyche, sporting certain symbolic accoutrements: Tyche seated on rocks, draped, wearing a mural crown, holding wheat ears (or other plants), with her foot on the river god Orontes). Tyche is not a major goddess, but more a personification of a city, more a tutelary deity. Many cities were represented as females, or Tyches, usually standing or seated, with a crown resembling city walls, and holding the rudder of a ship. 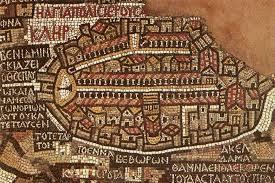 For many people in the ancient world the city was a lifeline of sustenance, protection, and livelihood. This Tyche directed the fortunes and prosperity of the city, its inhabitants, inside and outside the city. The ship's rudder symbolized the directing of fortune and prosperity and the mural crown resembling the city walls represented the protection the walls provided against invaders and marauders. This was the most common representation of Tyche on ancient coins (Greek and Roman Provincial), mural crown and ship's rudder. However, the most popular image was the Tyche of Antioch, a sculpture created by the renowned Eutychides of Sicyon, a pupil of Lyssipus, (circa 330-290 BC). Eutychides built his famous bronze statue in Antioch around the period of the city's founding, around the end of the 4th century BC. He cleverly assembled and conflated a series of symbols that represented both the fortunes and features of Antioch and made it viewable from all sides. Another innovation was her beautiful flowing drapery. It was one of the first of its kind, introducing the illusion of motion. He cleverly sculpted her robes to seem as if they are flowing across her body. Crown: Mural crown, in the shape of turreted city walls, representing the protection the city provides. The statue was so popular and the symbolism so powerful that the image and idea spread across the trade routes throughout Syria, Anatolia (Turkey today) and even into some Thracian area cities. The image was replicated on coins, bottles, lamps, jewelry, statuettes and in gold, bronze, and silver. Due to its popularity and the population's visceral connection with the fortunes of their cities, the statue had a long history. Created around the end of the 4th century BC, it lasted through the Hellenistic and Roman eras and into Byzantine times (shown on a coin of Justinian in 6th century), a period most likely spanning over 700 years. Because of the artistry and the long history of both the great city of Antioch and the famous statue, this ancient coin type has captured the imagination of many collectors throughout the world. In the next post I'll discuss the various cities that minted coins of this type, the various coin types, and the variances of imagery encountered with "Tyche of Antioch" type ancient coins. Greek Graffiti on the marble balconies, second level, Hagia Sophia, Istanbul, Turkey. I can just imagine their boredom, scratching these characters into the marble after services that could reach 5 hours or more. In the top picture there is even a game board on the right. Column of the Goths, Gulhane Park, Istanbul, Turkey. Attributed to either Clodius Gothicus II or Constantine the Great, as both had notable victories over the Goths. Probably the oldest monument in the city. It is located on a hill behind the Topkapi Place overlooking the Golden Horn and Sea of Marmara. Yeah, I had to show up during the worst weather in 33 years. Snow for 3 days straight. 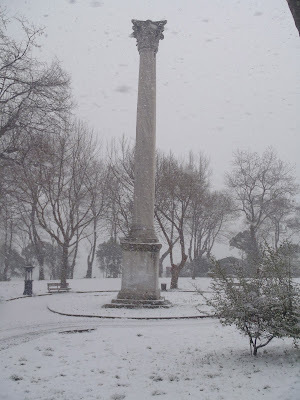 Although, it was beautiful walking through the park while the snow softly fell and hardly anyone around. Obv: Faustina Senior, draped bust right.